A rounded chisel brush. Designed for perfect blending. 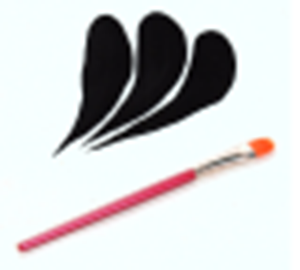 A versatile synthetic brush made of gold synthetic hair. Can also be used to create large petals.